We are the world’s leading Nutrition, Health and Wellness Company, with a global footprint that employs more than 335,000 employees in over 150 countries. We are the largest Fast-Moving Consumer Goods (FMCG) company in Malaysia, with over 5,500 employees, 8 factories across Malaysia, and our head office in Mutiara Damansara, Selangor. Take your career to even greater heights at a global food giant. You’ve the experience and expertise. We’ve the platform and resources to help you advance your future. It’s time you took your career to the world’s leading Nutrition, Health and Wellness Company. Our mission is to bring Good Food, Good Life to all. Your work—regardless of your area of expertise—will play an important role in getting a trusted portfolio of 8,500 brands and 10,000 products into the lives of people everywhere. 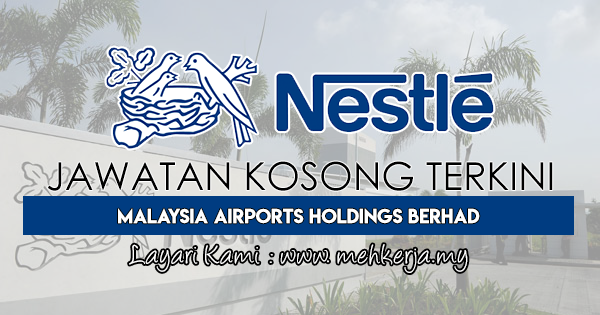 0 Response to "Jawatan Kosong Terkini di Nestlé Malaysia - 5 April 2018"